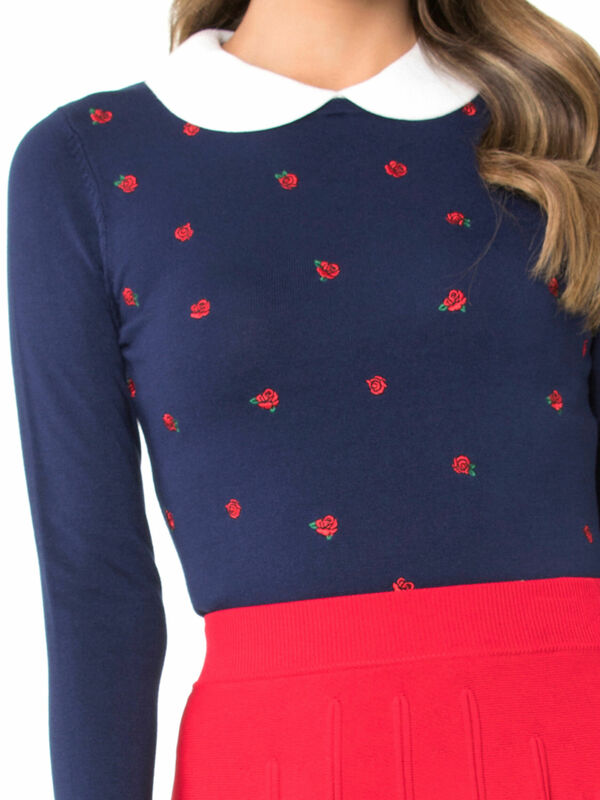 Fleur Jumper https://www.review-australia.com/global/fleur-jumper-navy/RE19KW003.RENVY026.html The Fleur Jumper adds a dose of vintage floral charm to even the most simple winter outfits. The medium weight, regular fit knit is soft and warm, with mini rose applique adorning the body. 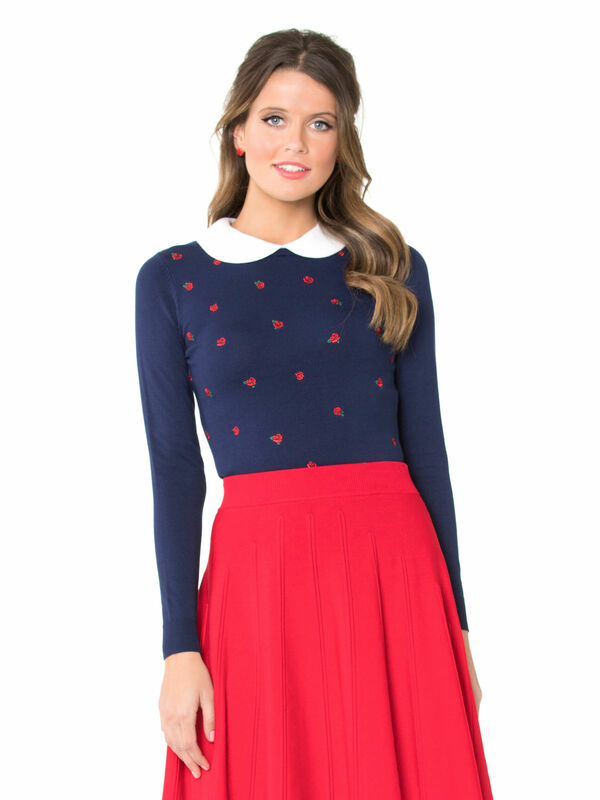 The knit is contrasted with a cream knit rounded collar and a back keyhole neck closure.